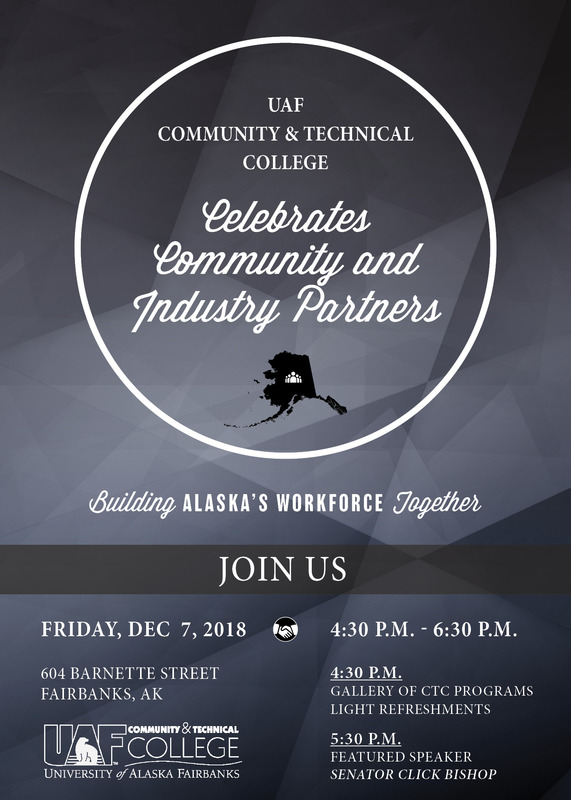 The University of Alaska Fairbanks Community and Technical College (CTC) will host a celebration of community and industry partners from 4:30-6:30 p.m. Friday, Dec. 7., at its Fairbanks downtown center, 604 Barnette St. 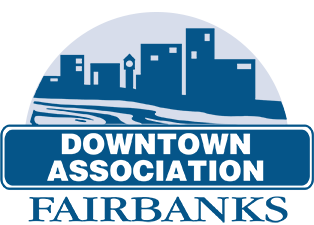 The event will recognize the continuous support that local businesses and individuals give to Fairbanks’ community college, partnering in CTC’s mission to build a quality workforce in Alaska and support student success. The public event on First Friday will have a come-and-go, open gallery format with visuals and partner recognition for each CTC program. Culinary arts faculty and students will prepare food live throughout the event for attendees to watch and sample. 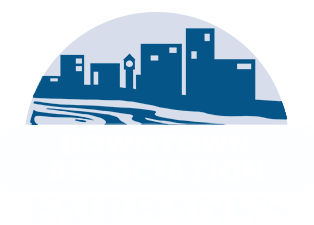 Remarks and acknowledgments will take place at 5:30 p.m. with Senator Click Bishop as the keynote speaker.